If there is one furniture item that we all love the most, the hammock has to rate very close to the top, if not number one on the list. Just the thought of swinging in the breeze suspended between two trees in your backyard, while you read a book or take a nape is reminiscent of those laid back summer vacations when we were in school and had time to spend hours relaxing on the hammock. So for those of you looking to replicate that feeling by buying a hammock, we bring you a list of all the types of hammocks available, this way it’s easy to decide which one is best for you. Where does the hammock originate from? 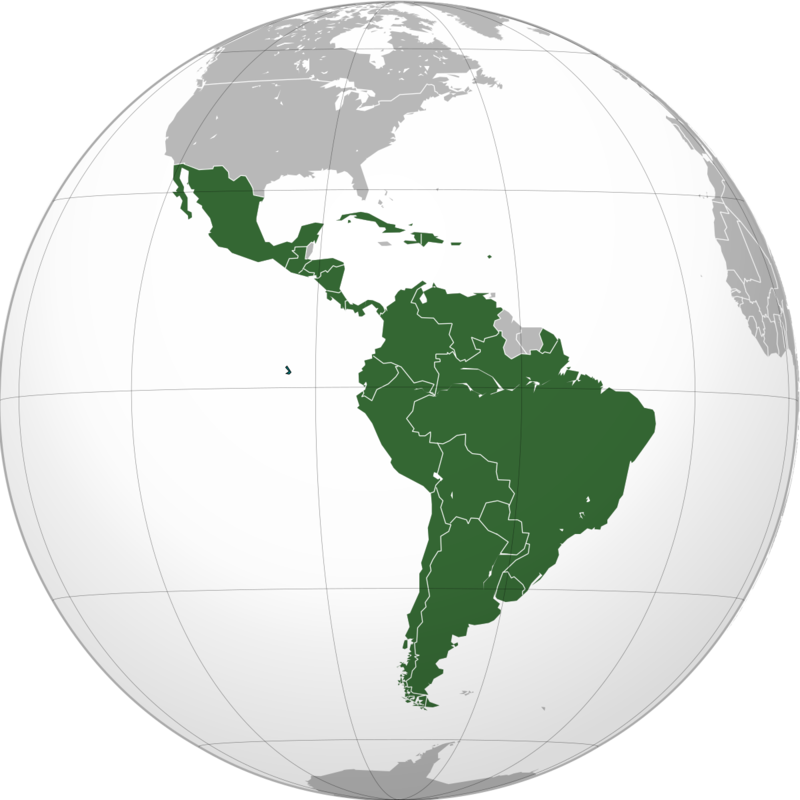 Although it is impossible to pin the hammock to any one creator, it originates from Native American cultures from El Salvador, Mexico, Venezuela and Brazil. The hammocks there were used to sleep in the jungle safely away from night crawlers, earthquakes and other disturbances. Since then we have adapted the hammock and given it modern conveniences to make it more functional and and comfortable. The rope hammock is the most common of all the hammocks, its made of a rope net and two spreader bars at each end of the hammock. The spreader bar allows the hammock to keep its shape rather than bunching up. Typically rope hammocks are made of cotton or polyester ropes. Cotton hammocks are more comfortable, but they can absorb water and grow mold or mildew if the material isnt treated properly. 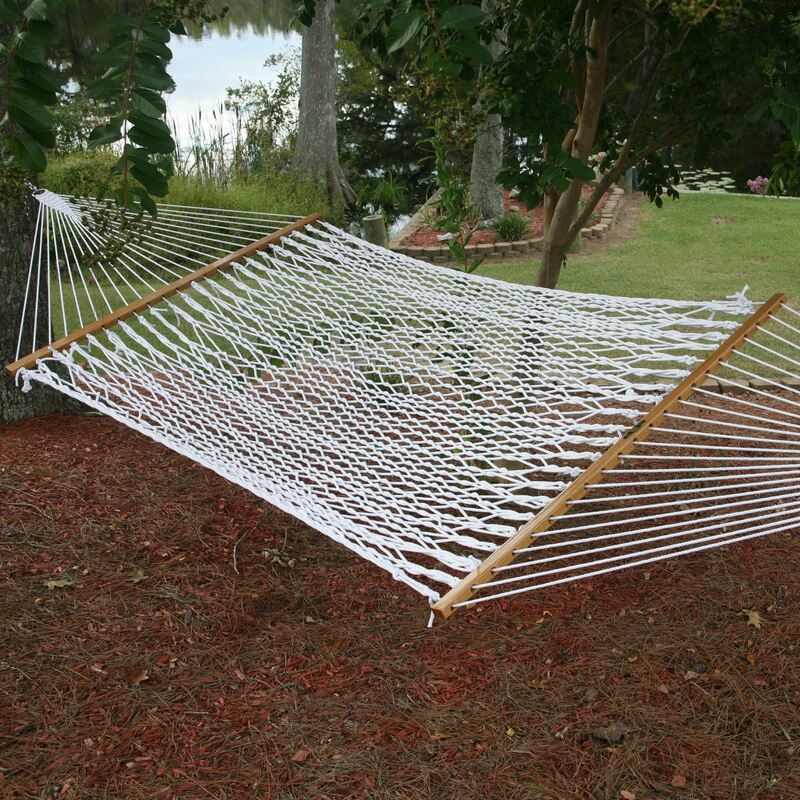 Polyester hammocks are more durable and wont grow mold or mildew, but its a bit less comfy. Rope hammocks fit 2 people, are 13 feet in length and are recommended for warmer climates. The most comfortable of the hammocks is the quilted hammock. Its made of two fabric layers stuffed with soft filling and its reversible. These are the best hammocks to use indoors or under a gazebo that way they are under a roof and away from the weather element. Since quilted hammocks have no gaps or holes on the surface, they are perfect for families and children. 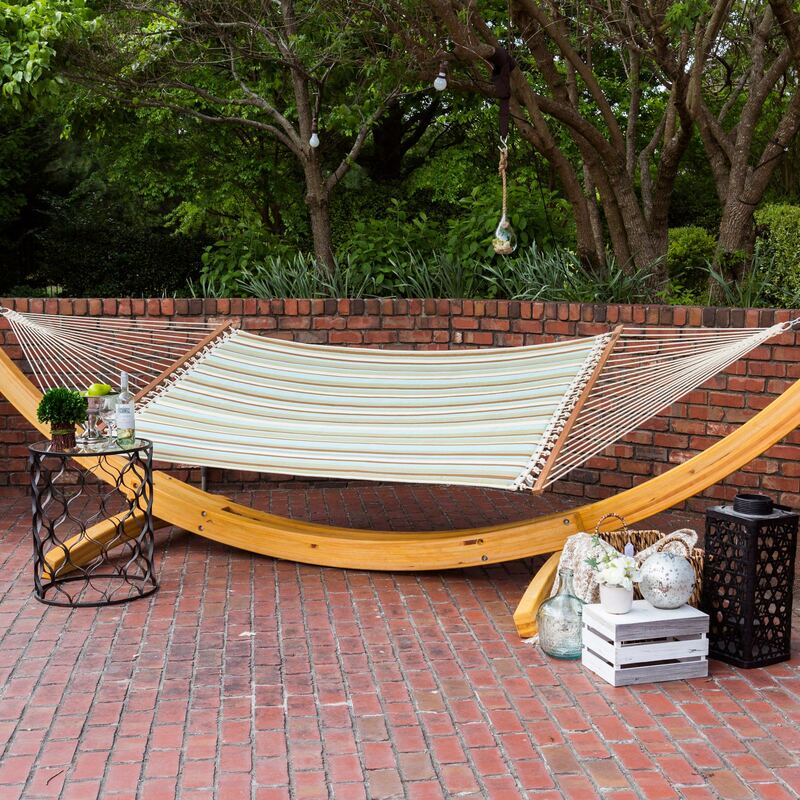 This type of hammock may also make for a good bedroom hammock! Something to keep in mind is that the quilted hammock is not as flexible as the other types of hammocks, so for extended hammocking we recommend one of the other hammocks. 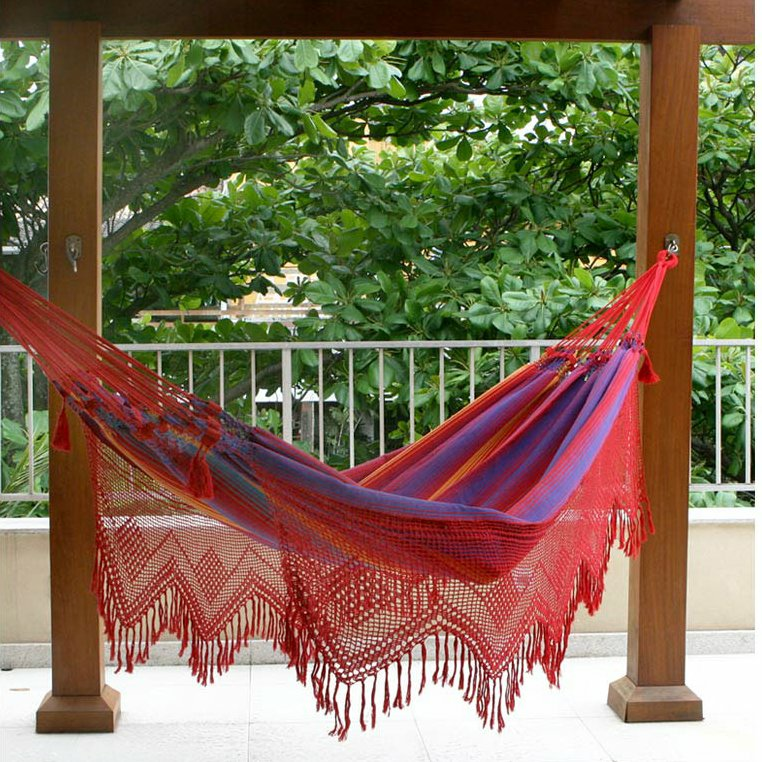 With their bright colors and folkloric appeal the Mayan style hammock is a very popular choice for many. Manufacturers make this hammock using a thin string that creates a very flexible but supportive product. They are constructed with cotton or nylon thread and come without the spreader bar. They are softer and adjust to a bodys size and shape easier. The cotton variation is recommended to be used indoors while the polyester type is better for outdoors since its mildew and mold resistant. These type of hammocks are lightweight yet they can hold a large amount of weight. Because they dont have a spreader bar these are a popular choice for campaign, backpacking, or those who love spending time in nature. Those who plan a heavy-duty use for their hammocks may consider a thick stringed version, which is just as comfortable but with more durability. These two types of hammock bear a great resemblance to their Mayan counterparts, with small variations. 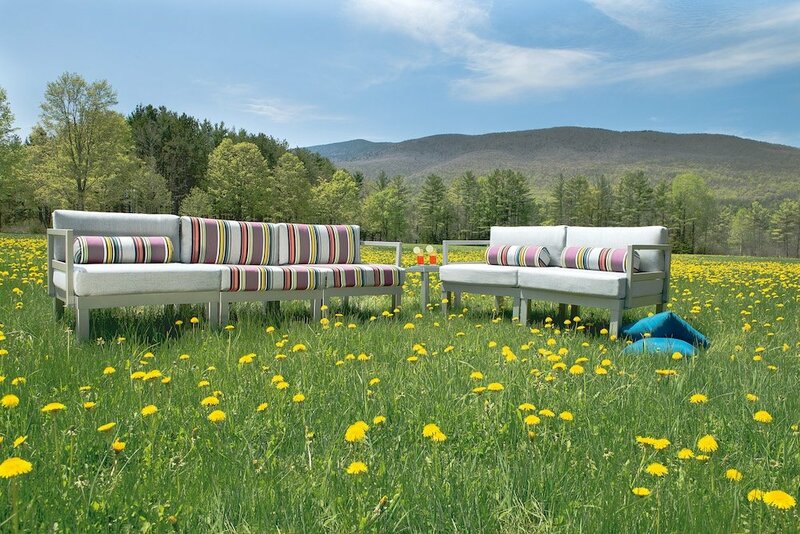 They are constructed of multiple fibers on a loom, which makes them very solid and durable in the long term. Usually these dont include spreader bars but a few merchants do manufacture them with spreader bars. Specifically the Nicaraguan hammock uses a double-weave technique so the strings are pulled together much tighter. This technique makes it more durable and harder to damage as well as more comfortable. 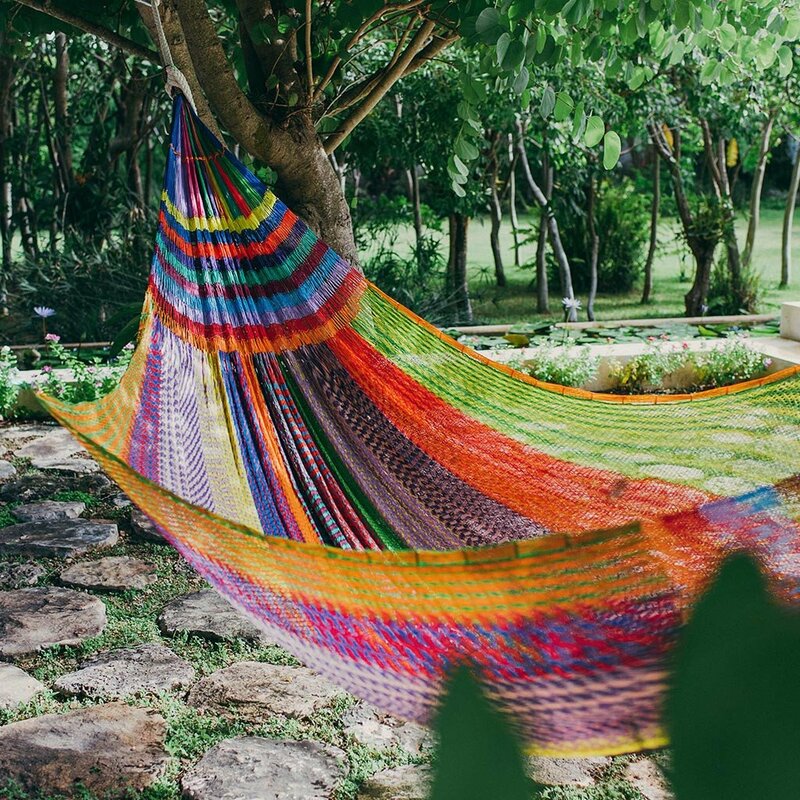 These hammocks can also be very vibrant and beautiful, bringing fringe patterns that create a tropical appeal. Its suggested that they not be left outdoors for extended lengths of time if not being used unless you have hammock protection such as a hammock sock. 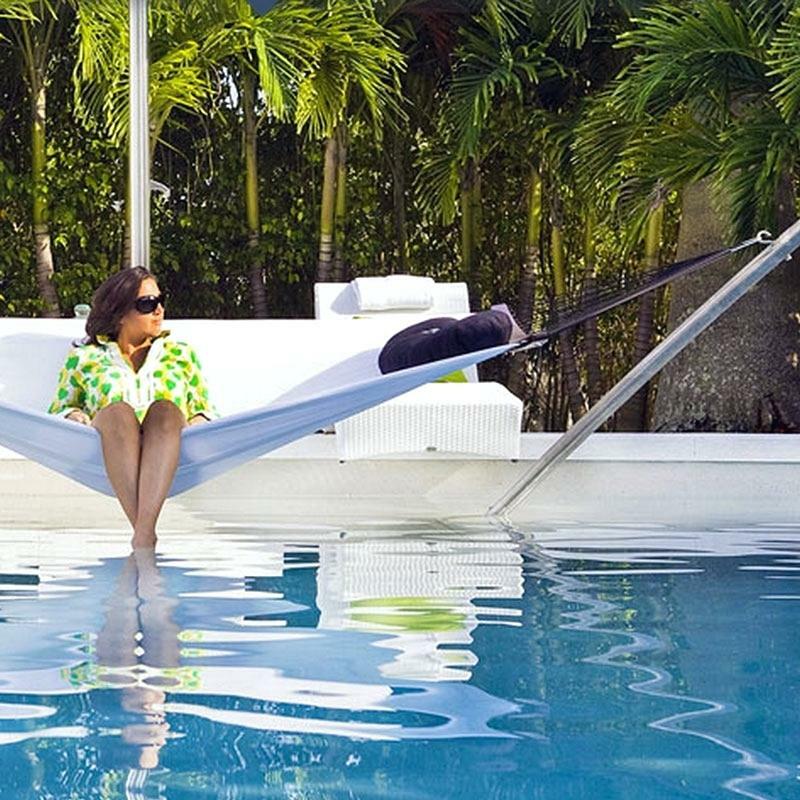 These practical hammocks are made to be used right after climbing out of the pool. The fabric used to create the hammock is made to allow water to quickly move through it, not allowing it to build up and either keep you wet or encourage the growth of mold or mildew. Poolside hammocks are the most durable option, perfect for warmer climates or ocean side living. They come with spreader bars and are sold in a variety of colors and patterns. They are not as comfortable as quilted hammocks but you gain in durability and water proof features. These units can be placed beside the pool ir between a couple of trees near a babbling brook. If you are interested in buying a hammock, check out our selection of hammocks here. Happy shopping! !